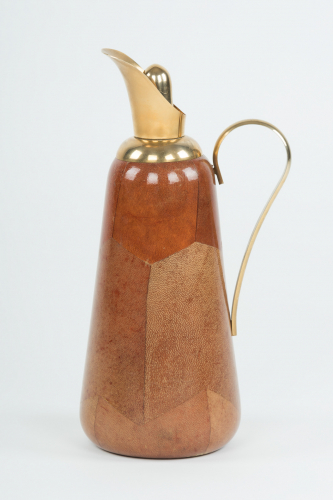 Brass and goatskin water jug / pitcher. In very good condition with no wear to the brass or goatskin. The interior is mirrored glass. Again with no marking or damage. By Aldo Tura, Italy circa 1960`s.